Gray & Company Publishers, 9781938441400, 246pp. "I fell in love with Amy Mihaljevic not long before her body was discovered lying facedown in an Ashland County wheat field. I fell for her the first time I saw that school photo TV stations flashed at the beginning of every newscast in the weeks following her kidnapping in the autumn of 1989--the photo with the side-saddle ponytail . . ."
It's one of Northeast Ohio's most frustrating unsolved crimes. 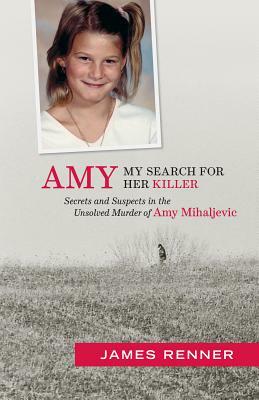 Ten-year-old Amy Mihaljevic (Muh-ha-luh-vick) disappeared from the comfortable Cleveland suburb of Bay Village. Thousands of volunteers, police officers, and FBI agents searched for the girl, who was tragically found dead a few months later. Her killer was never found.